You have learned a lot about English, but what have you learned about yourself? We can use English to teach ourselves about learning. In Yes, You Can! We begin that journey, practicing English and practicing learning. Studying for SAT, TOEFL, IELTS, or any other test is learning how to take a test not how to speak a language. Yes,You Can! 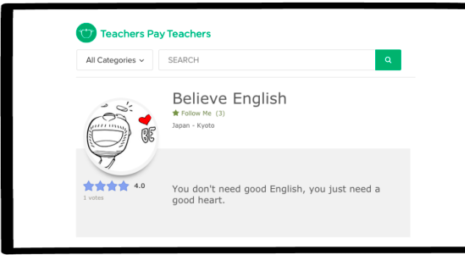 let’s you use English to learn about yourself and how you see the world. As your language and learning skills improve, you will become your own best teacher. La La’s Story is a book for students. It is a learner’s journey. A journey to self-discovery. We don’t just learn facts, we have to learn to trust ourselves with the facts. Learning a new language like English, you have to believe that what you are saying is important. Improving your English simply let’s you express your ideas more clearly, powerfully, and beautifully. La La’s Story was written for students in Vietnam and the introductory material is written in Vietnamese. The message is universal. We all have doubts, and we can all overcome our doubts. The writing and drawing activities make it your journey. ​Cafe Q is a book of questions arranged as menus to guide you through the most delicious conversations. Cafe Q is for students and teachers. Each menu set has a theme and a set of questions that explore variations on that theme. 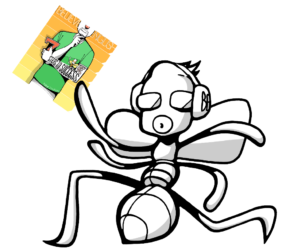 Cafe Q can be used for group conversations, speaking practice, and as writing prompts. Most importantly Cafe Q provides a structure for developing critical thinking skills through inquiry based learning. Asking questions of ourselves and finding the value of the answers we have for each other. A short guide to being the best student, and teacher, you can be. ​The journey to a new language begins with a single word. You don’t need good English, you just need a good heart. When you are ready, you will find the words you need to express yourself. We are here to help you. It’s as easy as 1,2,3… 4,5,6,7! Let’s begin the journey together. Thank you for learning English. You have something important to say. English helps you say it to more people in the world. 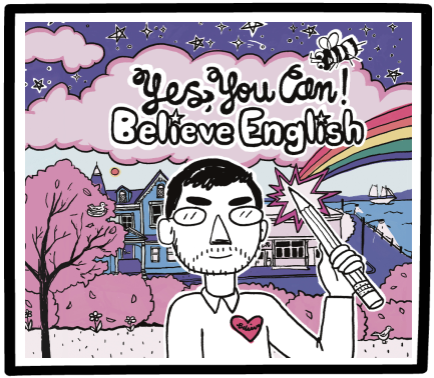 Believe English is here to support you. Our books and activities are designed to bring out the power in you: to trust yourself, to respect your ideas, and to teach yourself. 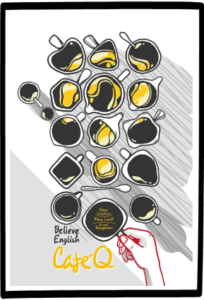 And you can do it all in English. BE Creative! 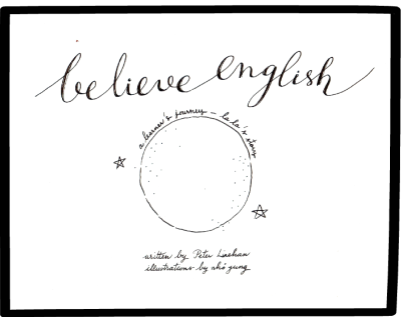 Enjoy all the Believe English eBooks, paperbacks, and printable activity sheets! 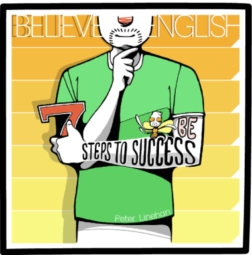 ​ Believe English books are available on each of these great sites: Amazon, ETSY, Teachers Pay Teachers, and the iBooks store! READ-ALONG BOOK! Click play to listen to me reading Seven Steps to Success.